As part of our series on domain names, we’re going to discuss web site redirects, and why and how they should be implemented. Traditionally redirects are used to guide a user to the new location of an outdated page. However, they are also important on the domain level. 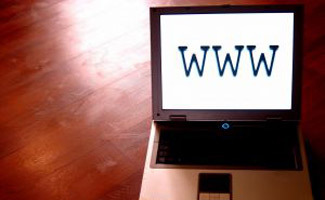 To be precise, one of the first decisions you should make for your domain URL is whether it will be appended by a “www” For example, www.example.com vs example.com. Why do you need to pick one over the other? Long story short, because users tend to type one or the other in the browser bar, and search engines may in fact treat both versions differently. This can result in your site’s PageRank, as well as link popularity, being divided in two! The solution? The answer is to create a 301 (permanent) redirect from one to the other. It’s important for SEO purposes that you use a 301 redirect (permanent redirect), and not 302 (temporary). 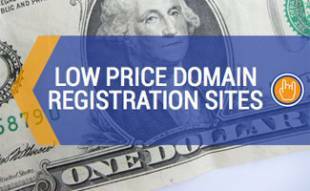 Most registrars use a term called domain forwarding, or URL forwarding. In most cases this will simply create a 302 redirect; few registrars to our knowledge apply 301s. The solution is for you to host the domain yourself and input the code below into your .htaccess file. Redirect to WWW or to non-WWW? Which one to redirect to? If you are just starting out and neither version has established a PageRank, we suggest you go with the “www” version. If, however, one version has already established a PageRank over the other, redirect the one with lower PageRank to the one with higher PageRank. If you’re using Apache/ .htaccess you can use the examples below. For other systems, scroll down. We have added it, for your convenience, to all the relevant examples so you can copy and paste all the lines at once. The top three search engines offer a version of webmaster tools that allow you to see how your website and its pages are being indexed by the respective search engine. In the Google webmaster tools, for example, you can specify which URL version (example.com or www.example.com) you are using, and Google will make the adjustments to ensure credit is being directed only to that version. We highly recommend that, in addition to this, you redirect your pages to your preferred version using the sample code snippets above in your .htaccess file. One of the most common (and important) reasons for redirecting your website pages is to maintain your search engine rankings when you transfer to a new hosting server or domain name. Skip straight to the bottom of this article, and the section redirecting search engine indexed pages, to learn more. 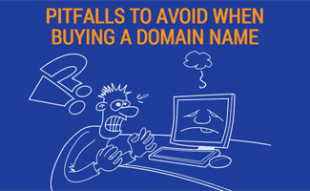 This approach is most useful if you have aliases of a specific domain name. For example, you may have Kanine.com, a common misspelling, redirect to Canine.com, as illustrated in the code snippet above. This will redirect all pages and files from kanine.com to canine.com, with the exception of kanine.com/not-this-page (and kanine.com/not-this-page/). Add as many of these lines as you like. You can also specify directories with wildcards to exclude entire directories. One situation where this is particularly useful is when you want to tell Google Webmaster Tools that you’re changing your website address, as discussed above. You’ll need to verify your old domain name, and to do this, you’ll need to exclude the Google verification file from being redirected. 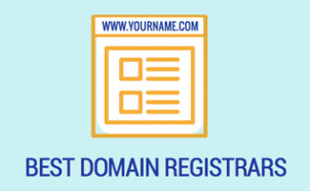 In this example replace new-domain.com with your new domain name. Thanks to the +FollowSymLinks line, all folders and files will redirect to your new domain name – ie. the only thing that will change is the domain name. If you’d like to redirect from one subdomain on a website to another, use the same redirect code listed above under redirect from one domain to another, but this time, place the redirect code in directory of the subdomain. That is, if you want to redirect sub.example1.com to sub.example2.com, you’ll need to place the redirect (ie. .htaccess file) in the root folder of subdomain sub.example1.com. Because this can become exceedingly complex, especially if you’re trying to redirect a subdomain folder to a subdomain, we’ve written up a separate article on this. Read our redirect folder to subdomain article for details. Let’s say you’ve added scripting to your website, and all your filename extensions are changing from .htm to .php. It’s vital that you let search engines know that you’re changing your file extensions, so they index the correct files and you don’t get penalized for duplicate content. The potential issue with this approach is if your site is using frames. In this case, the new site may load within a frame of the old directory. In which case you’d be better served using the rewrite approach above. So far all the examples have assumed you’re using an Apache server environment. Below are some examples for Windows and other Linux servers and various coding environments. Finally, select the option to sent the user to “The exact URL entered above”, and “A permanent redirection for this resource.”” (since we want a 301, not a 302 (temporary), redirect). One of the most important reasons for using the above redirects is to redirect your pages that are indexed by search engines when you transfer your website to a new server or domain name. To find out how to do so, read our article on how to transfer your website and maintain your search ranking. Is there a mistake with your non-www to www code? I think the first line of code in the non-www to www code should be RewriteEngine On. I have also seen some people add: Options +FollowSymLinks as the first line in the non-www to www code. Is there a reason you did not? Thanks. You’re correct – RewriteEngine On is definitely necessary. We mention it in the article in the beginning, and then don’t repeat it for each code segment. In other words, you only need RewriteEngine On once, at the top of your .htaccess file. After that, the “Rewrite Engine” is on, unless you turn it off again with RewriteEngine Off. Options +FollowSymLinks is only necessary if you want to redirect all your existing paths. Do you happen to have the redirect for ASP.NET as well? I have been looking for one that works for some time now and can’t quite get it right. Thanks so much! I am a newbee to Coldfusion. How do you hide the blog id create with CreateUID() function? I can’t get Eclipse to recognize CF8 syntax. I’m running Linux and Eclipse 3.2. I added the CF8 extensions from Macromedia using the ZIP as a source, all went well but It’s not recognizing CF8 syntax. I also followed the CF8 Dictionary instructions, and found the cf8.xml file was already there so I assume the above install worked. In my CFEclipse Project/Properties I still only see language up to 7.01. Thanks, these are useful redirects. I’d like to point out that a good use of these is to redirect pages indexed in search engines. You might want to point this out to your readers. Thanks! We’ve added a section and article on redirecting indexed pages, with details on how to search for indexed pages in the top three search engines (Google, Yahoo, MSN Live). We are having issues with competitors buying domain names and using a 3rd party DNS service and applying our IP address to their domains. This creates a duplicate content issue for us. Rather than wasting our time trying to wrangle with the DNS services to get this problem solved, we thought we might be able to redirect at the TLD level, but none of the scripts we’ve tested actually work – they all seem to be designed to function in legitimate cases where someone’s hosting more than one domain on the same server and they want to redirect into a subdirectory on the same machine. I have a client who is concerned about their page rank with a move from .ASP to PHP. What can I do to make this transition less painful, and not lose rankings. 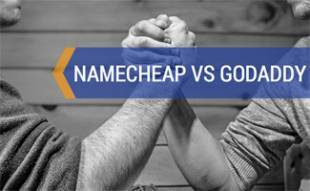 Changing any part of a domain, filename, or a filename extension creates what search engines consider to be a new page. You’ll therefore need to use 301 (permanent) redirects to let the search engines know that the filename extensions have been updated to .PHP. Simply map all requests for “ASP” to “PHP” Make sure you keep the redirects in place for at least 3 – 6 months. You will see a temporary reduction in Pagerank but it should be restored in the long term. I’m new to Apache. Would I do this using htaccess? I am hosting my site example.com using a shared server to which I don’t have access to IIS. I would like to redirect all traffic from http://www.example.com to the www-less version of the URL. The example.com version of the URL ranks much higher than the www version. Is it worth my time doing the ColdFusion redirect on my index page or will it simply cause a slowdown on page load. Since two page requests are being made redirects may cause a minor slow-down (as with any rewrite), but it shouldn’t be worrisome and it’s probably worthwhile giving your site one identity and consolidating PR. Just make sure the redirect is 301 (permanent), and not 302 (temporary). It just so happens that we wrote an article on that a few weeks ago: What is the Difference Between Parking, Redirect, and Add-On Domains? Let us know if it answers your questions.